This weekend, Intertops Poker and Juicy Stakes Casino are giving 35% Instant Cashback to players that bust a deposit playing any of their slot games from Betsoft or Worldmatch. Anyone that plays August 30 to September 2 without a win can ask for 35% of their last deposit to be refunded. “If you’re the kind of player who doesn’t like to play with requirements attached to your deposit, or you just don’t feel like playing with any bonus money attached, then 35% Cashback if a great option for you,” said Intertops Poker’s casino manager. Players have until Wednesday to ask for 35% of their last deposit back via live chat, email or telephone. 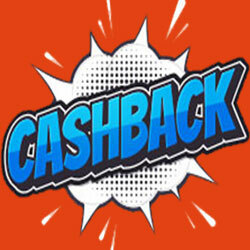 Up to $250 Cashback is instantly credited to players’ accounts. Intertops Poker and Juicy Stakes are known around the world for their busy online poker rooms. But both of them also have a huge selection of slots and other casino games including video poker, Blackjack, Roulette, Baccarat and Craps. Further information on this weekend’s 35% Instant Cashback offer is available at Intertops Poker https://poker.intertops.eu/en/promo/390-slots-cashback and at Juicy Stakes at https://www.juicystakes.eu/promotions/cspromotions/slots-cashback.